Are you fascinated by the word e-liquid? What is it actually? How does it work? Is it safe? Well, if you have been pondering about these for a long time and wanted to enhance your knowledge in this field, then this article assures to improve your brain cells! Make sure that you have done your research work before you hop into any market to buy an e-liquid for e-cigarettes. Now, before going to the variety of mixes it should be noted that e-liquids are often termed as smoke juice or e-juice. Nicotine and a variety of flavours are dissolved in absorbent components. These components absorb water from the air. The water in the solution is then converted to smoke or vapour when heated. Usually polyethylene glycol 400, vegetable glycerin and propylene glycol are used as absorbent components. Although the names of the chemicals might be hard to remember, you should have a complete understanding of what you are actually inhaling. The commonly used flavours are menthol and tobacco. People who are addicted to traditional tobacco cigarettes would usually bump into tobacco flavour when they switch to e-cigarettes. It exactly hits the throat and delivers the right nicotine. However, the market deluges you with a wide range of food flavours like orange, vanilla, chocolate, cigar, strawberry and coffee. So, know what your taste prefers the most and buy an e-liquid in Australia at a very reasonable price. How safe is the e-liquid? We already spoke about the hygroscopic or the absorbent components. The most famous component that is being used as a liquid base is Propylene glycol. This has been used in nebulizers since the 1960’s. Hope you have got your answer now! You need not worry about the side effects. All the liquid bases that offer you the satisfaction are made up of food additives. Although people buy an e-liquid with nicotine, you may also use an e-cigarette with zero nicotine content. It depends on your choice. You may buy an e-cigarette starter kit to enjoy the whole range of smoking experience. How long does it take to get habituated to e-cigs? For some people it would be very easy to get accustomed to e-cigarettes whereas, there are some who would gradually imbibe the stuffs. You may not get a dense smoke unlike the traditional tobacco cigarettes, but once you continue taking the e-cigarettes you would simply love it. 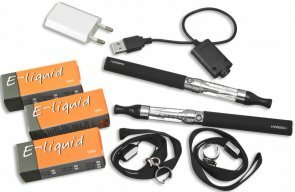 There are various types of e-cigs in Australia that you may try and find the one that suit your needs! If you have been thinking to enjoy a different smoking experience, there can be nothing better than e-cigarettes. As the idiom goes “variety is the spice of life”, you should definitely try for something unique. You will be mesmerized with its styles, colours and sizes. The most important thing is its cost-effectiveness. You don’t have to buy the cigarettes again and again. It comes with a rechargeable battery that deters you to buy any further cigarettes. Buy an e-liquid for you in Australia at our shop!